For complete information please click here for my professional book web-site. Patricia's short story Our Miracle Horse was published in the March 2011 edition of STORY CIRCLE JOURNAL, the Newsletter for Women with Stories to Tell. The theme of this issue's True Word section was "It Started as an Ordinary Day." The stories were to be 350 words or less. Her story was based on real events that took place on her farm with one of her rescued horses. What was love like in the era before annulments, reliable contraceptives, and acceptance of homosexuality? During the period between the wars, appearances counted and marriage was a life sentence without parole. From aviation to annulment, from an island in the Seine	to the King of France, the Spirit of St. Louis permeates the story, but in so many different contexts. 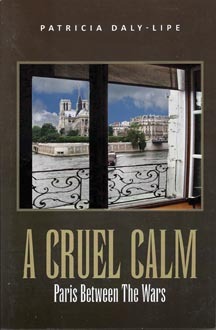 Well researched, A CRUEL CALM, Paris Between the Wars includes Lindbergh's flight across the Atlantic; Gertrude Stein, James Joyce, Joseph Campbell and Hemingway in their own words; the Surrealist movement, lady pilots Bessie Coleman and Amelia Earhart; Black Thursday; the ravages from and newspaper clipping of the Great War; omens of a new war brewing, and much more. A CRUEL CALM visits an era of idealism and innovation on all levels when Paris was the cultural capital of the Western world. Simple became sensational and the most treasured, intimate values became complicated and inaccessible. 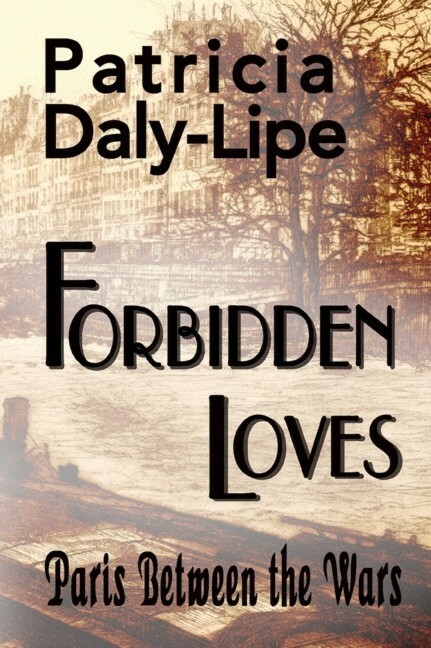 This is a story replete with historical detail, universal conflict, and sensational romance. My history (her story) is based upon diary entries written during the late ‘50s and ‘60s. But memories tend to change with age. Time softens some, sharpens others, distorts and even extracts parts. This fabric of our memories, its threads weaving intermittently in and out of the realm of recall, is not quite the same as it was almost 50 years ago. Yet it is nonetheless the fabric from which my life was woven. Reading the words written so long ago in my diary, I was astounded at what I saw and heard and thought about as a teenager and later a young twenty something living in Europe. Was that really me? Was Paris/Rome/Belgium/London really like that in the ‘60s? Yes, it is real. Real because I wrote it on the spot. No directives, no hindsight. Now I have integrated all those direct observations into a Memoir. It is for you, dear reader, to enjoy and, at the same time, perhaps gain some appreciation for the past. In this case, my past. 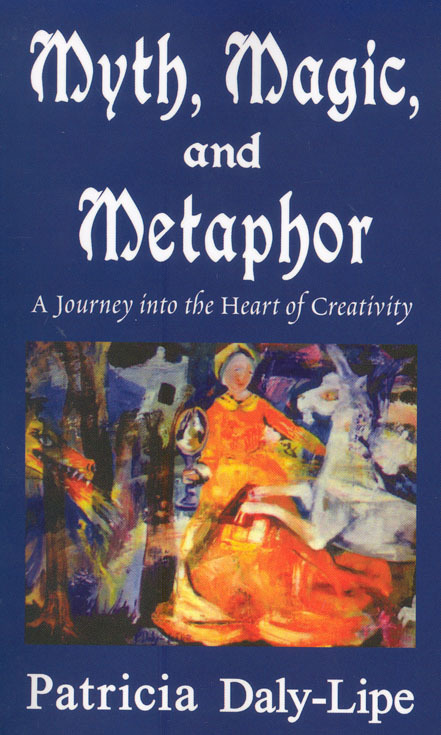 MYTH, MAGIC, & METAPHOR takes the reader on a journey of discovery. The book was not written to provide answers. It was written to provoke questions. Tidbits of information about history, art and literature, philosophy, mathematics and music are investigated as components of the creative process. In the end, the author hopes that this book will have encouraged the busy reader to stop and take the time to 'see' what only the heart can know. According to the author, "After spending several years teaching college- English, I came to Annapolis. While looking for another teaching position, I was introduced to Maryland Hall for the Creative Arts. Because of my interest in painting, some friends invited me to share a studio they had at the Hall. With all the other arts represented dance, painting, sculpture I asked the Director, why was there not a course in creative writing at Maryland Hall for the Creative Arts? 'Do you want to teach it?' he asked. Naturally, I jumped at the opportunity to combine my skills at painting with my love of the written word. What evolved is the basis of Myth, Magic and Metaphor. Later I shared this and other writing concepts as an instructor for Anne Arundel Community College Writing Workshop." 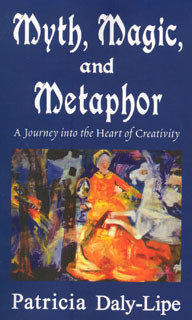 Myth, Magic & Metaphor takes the reader on a journey into the heart of creativity. The little tome attempts to awaken the aesthetic sense, the creative muse who lurks within us all. Today, in a cognitive/technical society, people have become more and more removed from the instinctive aspect of the psyche. My task as author is to enhance the creative spirit through myth and metaphor, to restore the sense of wonder adults experienced as children. My method is multi-sensory, interdisciplinary, and holistic. There are no limitations to what thoughts, ideas, observations, or research could and might be used to stimulate the creative process. The ultimate tool is the human heart (from the French; coeur, meaning courage). The medium is words. Philosophy, art, music, and linguistics are some of the disciplines used as stimulation. For the reader, the goal of this book is not publication and fame. The goal is for the reader to become the writer Learn to 'think with a pencil'. It is a voyage of discovery. Maybe its real goal is simply the joy of knowing that the journey will never end! 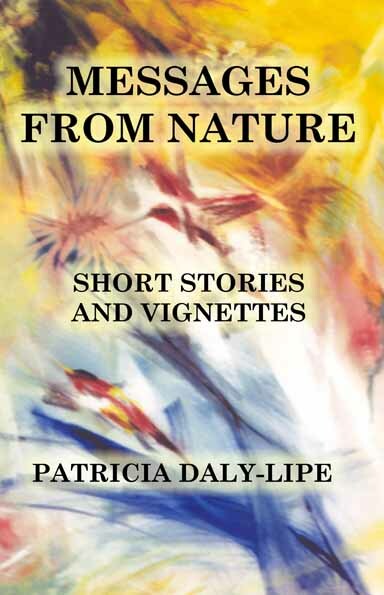 Patricia Daly-Lipe encourages writing students "to experience the sense of wonder they knew as children, to use their imagination, to feel and absorb the world around them, to listen, not just to hear, to see, not just to look, in sum, to become intoxicated with life. The tool is the heart; the medium is words." 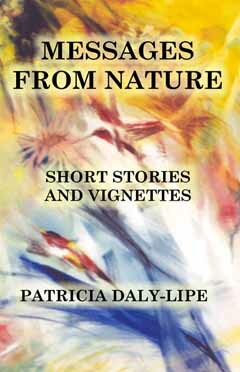 Messages from Nature (formerly Nature's Wisdom published January 2005) is a book of short stories about animals (including a butterfly) and trials at sea where the force of nature is the sea. The stories were published by la joie Magazine, Unfold, and other journals over the past 14 years. The poems include selections from my father's work published in the 1930s including Important American Poets edited by Edith Warren, Valiant House, Publishers, New York, 1938.
transfixed. "The view was breathtaking! From the level on which (we) stood the land fell sharply to the edge of the ocean. Across the narrow inlet bay, near by, rose a kindred height, with a rough, rocky point jutting out into the sea. Then began a magnificent sweep of yellow shore — a rim of golden cliffs, curving far to the westward clasped the ocean's cobalt blue like a jewel. The sight was wonderful." Once Anna built her first home using architect Irving J. Gill (later to become the leading architect of Southern California and covered to a great extent in this book) friends from Europe began to arrive. Each friend insisted she built them a place to stay, people like Shakespearean actress Ellen Terry, Polish actress Madame Helena Modjeska, Polish statesman, composer and pianist Ignace Jan Paderewski, and author Beatrice Harradan. Thus began what came to be known as the Green Dragon Colony. As Anna said, "If you prefer the picturesque to the conventional, atmosphere to style; if you care for individuality that is gracious, informality that is refined; if you know that art is a necessity, not a luxury in life, that beauty is food and drink; if you are one of these ... the Green Dragon will cast its subtle spell upon you." The place made the people and the people made the place. Such was early La Jolla. When our country became involved in World War I, soldiers were stationed at Camp Kearny just east of La Jolla on the mesa above the town. This attracted more people to La Jolla. In turn, a few years later, land developers subdivided more of the area into La Jolla Shores, La Jolla Hermosa, and the Muirlands. 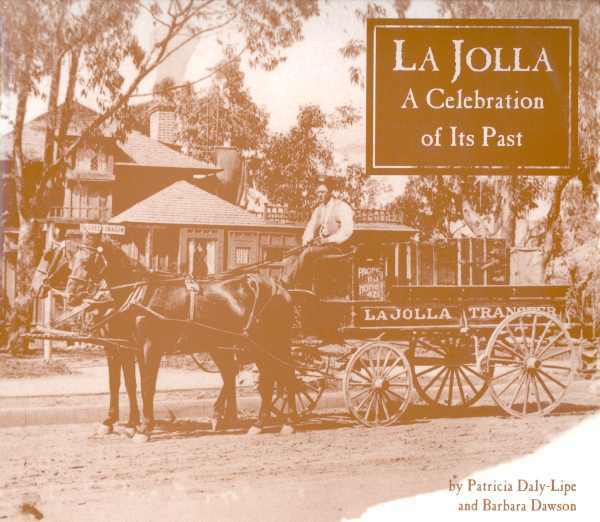 In 1925, streetcar tracks were laid improving transportation between La Jolla and San Diego. People could now live in La Jolla and work in San Diego. Homes started to be built in the new subdivisions. In the new areas as well as in the older ones, streets and sidewalks were being paved. Walking around La Jolla, you can still see signatures and dates carved in the cement designating these original sidewalks. The crash of 1929 halted the expansion and progress. The Depression hit La Jolla as it did the rest of the country. It was ten years before La Jolla showed signs of recovery. At the end of his residency at Strong Memorial, Rochester, NY, J T Lipe answered a letter in JAMA from an older doctor wanting an assistant. 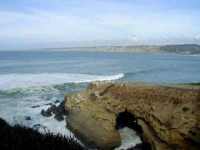 The older gentleman, Dr. Parker, lived and worked in a small coastal community north of San Diego. So, sight unseen, J T headed across the country with his young bride, Georgeanna, in a Model A. According to Mrs. Lipe, when they arrived in 1936, “It was a very small town. There were no tall buildings. Everybody was very friendly and there were very few young people. 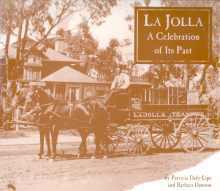 The saying in those days was that La Jolla was a place where old people came to visit their parents! Most everybody we met had been somebody somewhere else. We were completely separated from San Diego." By 1923, a small English colony had settled in La Jolla. “They drifted down from Porterville, in the San Joaquin Valley,” said Betsy Stephen-Hassard, widow of the British descended Dr. Quintin Stephen-Hassard. Dr. Stephen-Hassard, La Jolla dentist who not only cared for human patients but also took care of the animals at the zoo, may have been the area's first spear fisherman. Today the beauty of the Pacific with its kelp and seaweed beds and incredible underwater sea life begs us no longer to spear, but to snorkel and dive. “So few people but what they can do.” With one of the shortest thermostats in the country, La Jolla has attracted sportspeople including tennis champions like Little Mo and Dodo Chaney, golf pros, surfers of international fame, actors like Cliff Robertson and Gregory Peck, scientists including thirty-seven Nobel laureates, and fliers including Charles and Anne Lindbergh. 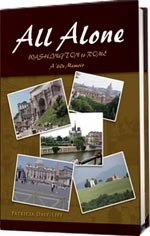 This book tells all their stories and more. Often it is not the famous who make a place special. From doctors to domestics, from the pioneers of Scripps Institution of Oceanography to the surfers of Windansea, from artists to architects, the denizens of this "jewel by the sea" have known and expressed creativity and sometimes brilliance.